Love her serious little face in the last shot. These photos are so cute! I like the lighting in them, they look fab! Aww! 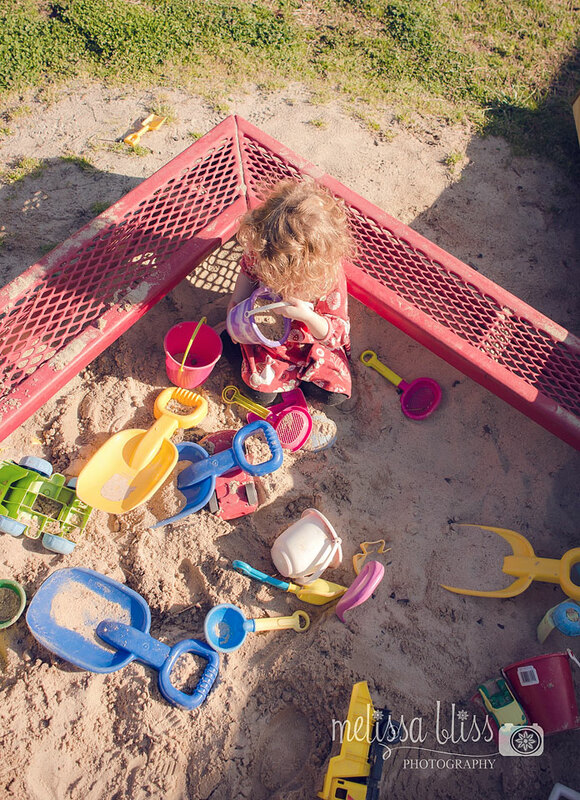 What fun to play in the sandbox! She certainly will love the beach! I love those little hands squeezing the sand in the second photo and her bare little toesies in the last one. 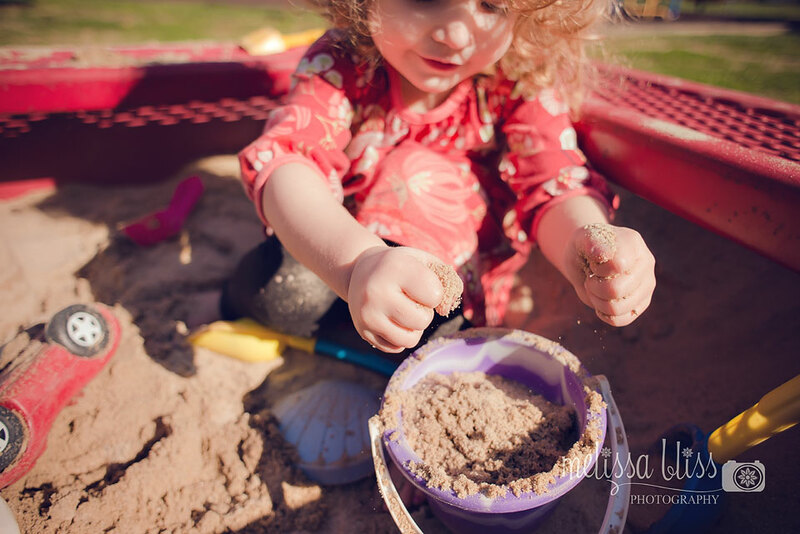 Love seeing those gears turning & her creating with the sand. I like the lens flare in there too- gives that gorgeous glow. So cute and yay for nice weather to play outside. 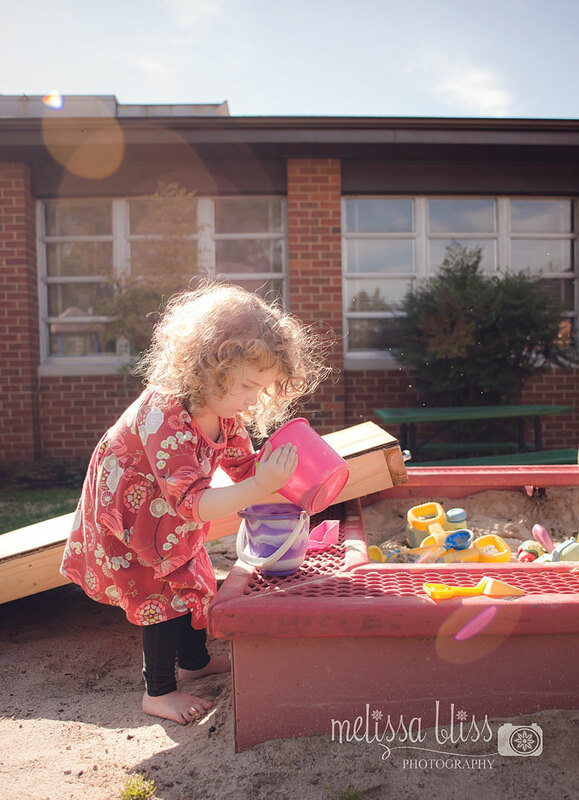 Sandboxes are such great big fun! Such fun! Love the close up on her sandy hands! oh we are still soaking wet here! Oh how I miss playing in the sand. Looks like the weather is absolutely perfect.